Once or twice a year, daycare uses a bank holiday (such as today) to do a staff development day, during which daycare is closed for the day. Although Evie's gotten to the point where she doesn't need to be constantly entertained by someone else, Parker is still very much in need of fairly constant supervision and/or entertainment. 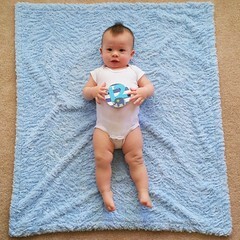 His napping was also off today (I wonder if it had to do with the shots he received at his 1-year check-up), and so I felt like I was looking for various ways to keep him busy for most of the day, including running some errands. I used the love + add shimmer + hearts across the top. 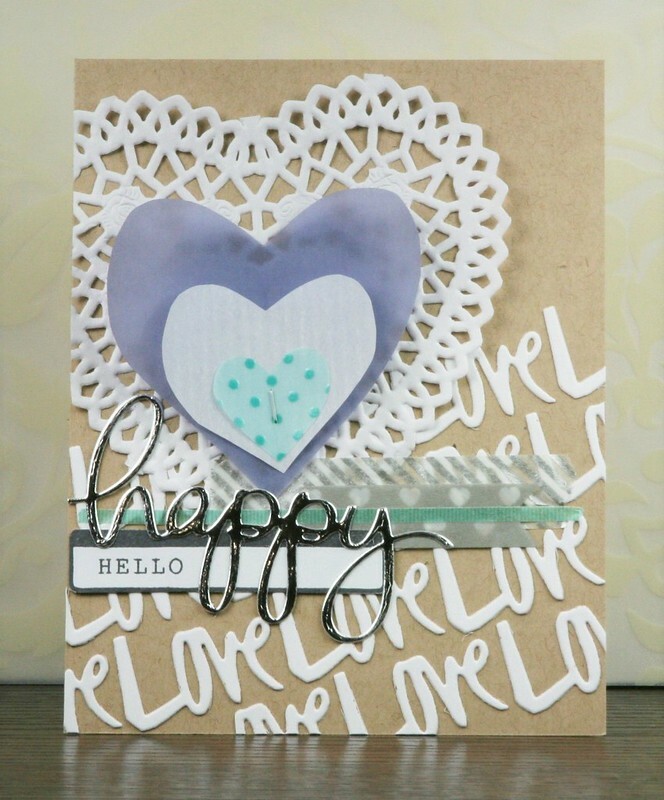 The "love" die cut word is used at an angle across the bottom for the background. Heart doily (Target dollar spot!) 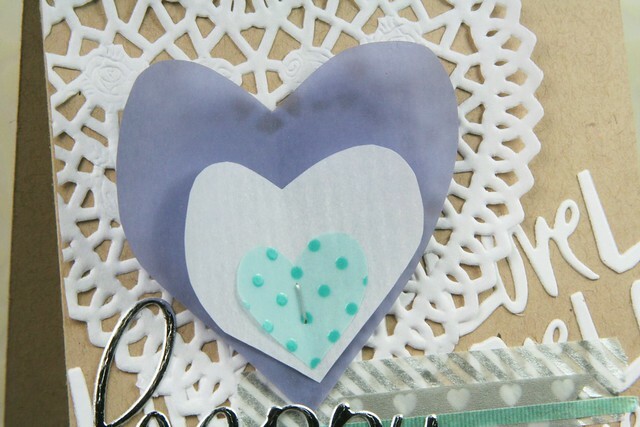 combined with some free-hand cut vellum hearts. 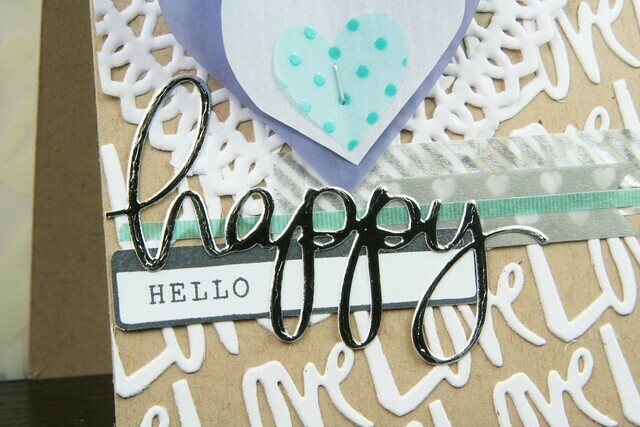 And silver washi tape, vellum strip, and metallic die cut word for the shimmer. Fabulous layering! (Gotta love the $ spot.) This is such a great card! 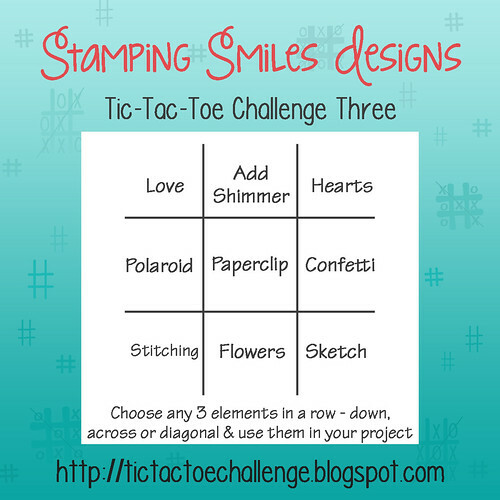 Thanks so much for playing at the Tic-Tac-Toe Challenge!